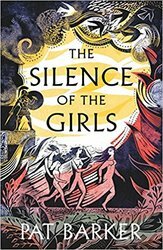 When her city falls to the Greeks, Briseis's old life is shattered. She is transformed from queen to captive, from free woman to slave, awarded to the god-like warrior Achilles as a prize of war. And she's not alone. On the same day, and on many others in the course of a long and bitter war, innumerable women have been wrested from their homes and flung to the fighters. The Trojan War is known as a man's story: a quarrel between men over a woman, stolen from her home and spirited across the sea. But what of the other women in this story, silenced by history? What words did they speak when alone with each other, in the laundry, at the loom, when laying out the dead? In this magnificent historical novel, Pat Barker charts one woman's journey through the chaos of the most famous war in history, as she struggles to free herself and to become the author of her own story.